(March 5, 2006) Pressconnects.com reported The Family Foundation School, Hancock, NY, 845-887-5213, www.thefamilyschool.com, a state-registered private boarding school, has worked with some 2,000 students from deeply troubled backgrounds, including alcohol and substance abuse, promiscuity, self-mutilation and deep-seated anger. (April 20, 2006) Pam Ponich, Director of Operations, Florence Crittenton Home & Services, Helena, MT, 406-442-6950, announced the opening of a new program, The Legacy of Love, for young women up to age 24 that are pregnant and considering adoption. (April 21, 2006) Jonathan Jones, Executive Director, Success Oriented Achievement Realized (SOAR), Balsam, NC, 828-456-3435, announced the Fall Semester 2006 schedule for students, ages 13-18. The Fall Appalachian and Yellowstone semesters run from September 4 to December 3. (April 27, 2006) The Grand River Academy, Austinburg, OH, 440-275-2811, announced the dates for their six-week Summer Academy 2006 are June 25-August 4. The Summer Academy is a co-ed program for students in 9-12 grades. 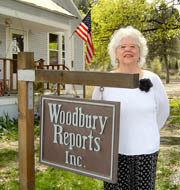 (April 27, 2006) Judith E. Bessette, Ed.D., Compass Educational Consulting, Nashotah, WI, stopped by Woodbury Reports, Inc., for a visit. (April 28, 2006) The Hunter School, Rumney, NH, 603-786-2922, email announced that beginning in the fall of 2006, the program will offer a new girls K-8 program. The Hunter School works with students diagnosed with a variety of learning disabilities including ADHD, ODD, anxiety, depression, Aspergers and PPD. (April 28, 2006) Dan Kemp, Admissions Director, Phoenix Outdoor LLC, Roswell, GA, 877-305-0904, announced the promotion of Alex Kirby, PsyD, to Clinical Director. Phoenix announced the expansion of the program's clinical department, which includes the following additional staff: Karen Glaeser MS, NCC, Mary Flora, MA and Robin Arfa, MA. The press release also said that Clinical Director Jack Kline, left in April to join Aspen Education Group as Executive Director of a new adult drug and alcohol program near Asheville, NC. (May 1, 2006) McClure, Mallory & Baron, Educational Counseling and Planning, San Francisco, CA, 415-421-4177, email, announced the opening of a new satellite office in Santa Rosa, CA. (May 1, 2006) Blackwater Outdoor Experiences, Midlothian, VA, 804-378-9006, announced that in April, Nicholas Levendosky stepped into the position of Program Director and Tonya Beers-Warman was promoted to Clinical Director in May. Blackwater also announced that its 21-day wilderness therapy program for adolescents and young adults, ages 14-28, has changed its name to Blackwater Therapeutic Expeditions. (May 1, 2006) Midnight Mountain, Boyds, WA, 509-738-9808, email, announced they are now accepting applicants for their 6-week Adventure Semesters from June 1- July 13 and July 20-August 30. (May 2, 2006) Kathy Whitmire, Executive Director, Cherokee Creek Boys School, Westminster, SC, 864 647-1885, announced Sharon Stricker is the new Program Director. (May 2, 2006) Anne LaRiviere, Director of Admissions/ Marketing, Optimum Performance Institute, Woodland Hills, CA, 888-558-0617, announced Janet Martin, PhD, has joined the program as a consulting psychiatrist. She graduates in June from the University of California, Irvine Medical School and is the chief resident at Cedars-Sinai Medical Center in Los Angeles. Dr. Martin holds a doctorate in neurobiology and behavior. (May 3, 2006) Julia Andrick, Marketing Communications Director, Catherine Freer Wilderness Therapy Program, Albany, OR, announced that West Coast Bank nominated the program for a 2006 Excellence in Family Business Award. Catherine Freer Wilderness Expeditions Supervising Therapist, Brian Bulmore, MA, completed certification as a CADC III, and therapists from Santiam Crossing, 800-390-3983, completed a two-day dialectical behavioral therapy theory and skills class. (May 3, 2006) Richard Odell, President, Leelanau, Glen Arbor, MI, 800-533-5262, announced the program will offer a four-week Summer Academy for students entering grades 10-12. Leelanau will also offer a two-week Summer Adventure Learning Camp for students entering grades 6-9. (May 8, 2006) Susan Holden Walsh, Holden McClure PR, 303-449-2526, Confident Living, Inc., Boulder, CO, 800-261-0127, announced the program has expanded to a new location in Menlo Park, CA, and therapist Robin Acker, MFT, has joined the team as northern California Marketing Manager. (May 10, 2006) Kay C. Ford, Owner, CKC Consultant Tour Services, Crozier, VA, 804-784-3037, stopped by for a visit and discussed the upcoming CKC Tours. (May 10, 2006) Andrew Sapp, PhD, Clinical Director, Cherry Gulch, Emmett, ID, 208-365-3437, stopped by Woodbury Reports, Inc. to discuss the progress of his program. (May 11, 2006) Chuck Selent, Executive Director, AES Northwest, Inc., Bonners Ferry, ID, 208-267-5807 announced that AES is now networking with Advantage ISS, Inc., in adolescent runaway, investigations and location services. Advantage is a private investigation firm owned by Mike Decker, Bonners Ferry, ID, 208-267-3945. AES has also expanded its service region to a national service. (May 15, 2006) David Rosenker, Caron Foundation, Wernersville, PA, 610-678-2332, announced that the domain name for email has changed from caraonfoundation.org to caron.org. (May 16, 2006) Brandi Elliott, Admissions Director, Campbell Park, Kurow, New Zealand, 213-988-0718, announced they are accepting applications for Fall Semester 2006. Campbell Park is a school for boys, age 16 to 19. Applications may be downloaded from their website. (May 16, 2006) Holly Thompson, Ascent, Naples, ID, 800-974-1999, announced three new summer programs for youth in 2006. The "Female Trauma/ Survivor" program runs June 21 to August 2; a "Middle School/ Five Week" program for ages 11-13, from June 14 to July 19; and a "Diabetic Youth" program, from June 28 to August 9. (May 17, 2006) Kreg Gillman, PhD, Owner/ Director, and Denise Westman, Admissions Director/ Marketing, Silverado Boys Ranch, Panguitch, UT, 435-690-9185, announced the fall 2006 opening of a "unique therapeutic boarding school" for boys, ages 13-17. (May 17, 2006) Adele Logan, Ed.S., Superior, CO, 303-377-1374, Director of Marketing, Shortridge Academy, Milton, NH, 603-755-3096, announced that with her time at Shortridge drawing to a close, she has been accepted into the PhD program in Counselor Education at the College of William and Mary. She will begin her PhD coursework in August 2006. (May 17, 2006) Stephanie Lawson, MA, Regional Manager, New Start Transports, 877-258-2423, announced the opening of a new centrally located Midwest division for the company. (May 18, 2006) Jill Rickel, MS, National Director of Admissions, College Living Experience, Denver, CO, 800-486-5058, announced the program is now offering students 18 and older assistance with completing their high school diploma when that is needed. (May 18, 2006) Ann Kozak, Marketing Specialist, Family Foundation School, Hancock, NY, 845-887-5213, announced that family counselor Jill Harmon, LCSW, presented a paper, Parenting the Adolescent with Substance Abuse Issues, at the recent Families Anonymous convention in Atlanta, GA.
(May 18, 2006) Emmanuel Argiros, President, Family Foundation School, Hancock, NY, 845-887-5213, announced the appointment of Jeff Brain, MA, to the newly created position Vice President of External Relations. Brain will oversee the Admissions Department and manages relations between the school and parents, school districts, educational consultants, child advocates and evaluating agencies. (May 20, 2006) Colleen Harrington, Assistant School Head, Mission Mountain School, Condon, MT, 406-754-2580, announced that Tim Wilcox, PhD, is the new Clinical Director. In March, Colleen, John Mercer, School Head and four staff members took a group of students for an extended trip to Death Valley National Park. Colleen also announced that MMS has decided to maintain its student population closer to 32 rather than 40. (May 20, 2006) Guy LeGuyonne, Director of Communications, Introspections Costa Rica, 888-280-4227, announced Artist and Boruca tribal leaders, Margarita Lazaro and Giovanni Gonzalez, are offering an ongoing crafts instruction and cultural immersion to students at ICR. Carving ceremonial masks and weaving handloom tapestries gives students an opportunity to compare the 500-year-old Borucan history of upholding cultural values through art and intention with their own lives as part of the narrative therapeutic process. (May 20, 2006) Anne LaRiviere, Admissions Director/ Marketing, Optimum Performance Institute, Woodland Hills, CA, 888-558-0617, announced that 8-10 OPI students will spend two weeks in Peru later this summer.